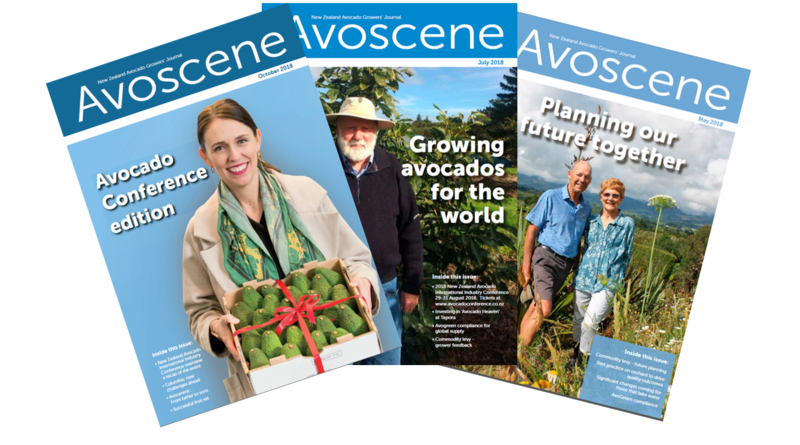 Avoscene is the official journal of the NZ Avocado Growers’ Association Inc. that is published five times a year. It contains the latest industry news, research and updates on the avocado industry in New Zealand. The magazine is distributed to all member growers, packers, exporters and other industry participants. Members of NZAGA and export registered packers and exporters receive AvoScene as part of their membership. If you would like to subscribe to AvoScene please email info@nzavocado.co.nz or visit the avoshop here. If you are interested in advertising in Avoscene please contact Sun Media on 07 578 0030. PDFs of all magazines from 2010 are available for members download below.